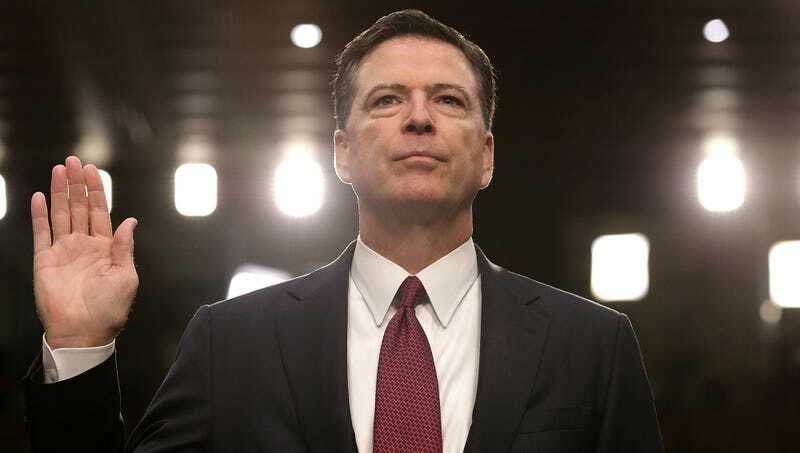 WASHINGTON—Expressing their bewilderment that the former FBI director had chosen to focus on the incident in such detail, the U.S. populace was reportedly confused Friday after learning that James Comey had dedicated the entirety of his upcoming memoir, A Higher Calling, to an in-depth retelling of the Martha Stewart insider trading controversy. “I expected that the Martha Stewart thing might be briefly mentioned, but I’m more than halfway through the book and he’s still going on and on about it,” said Alyssa Cady, 34, echoing the sentiments of 323 million Americans who admitted to feeling perplexed that Comey had devoted over 300 pages to vividly recounting the prosecution of Stewart during his tenure as a U.S. Attorney for the Southern District of New York. “There’s this part in chapter six where he starts talking about his service to the country, and I thought, ‘Good, he’s finally going to bring up the 2016 election,’ but he just launches into a diatribe about how we must be vigilant against those who would violate the Securities Exchange Act of 1934. And I was pretty annoyed when ‘the biggest showdown of my career’ ended up being about nailing Martha Stewart for perjury.” Cady confirmed that the only mention of Donald Trump in the entire book was a passing reference during a chapter in which Comey expresses the vindication he felt after Martha Stewart’s 2005 spin-off of The Apprentice was cancelled.